If Troll o' Face is damaged by an opponent's attack, flip a coin. 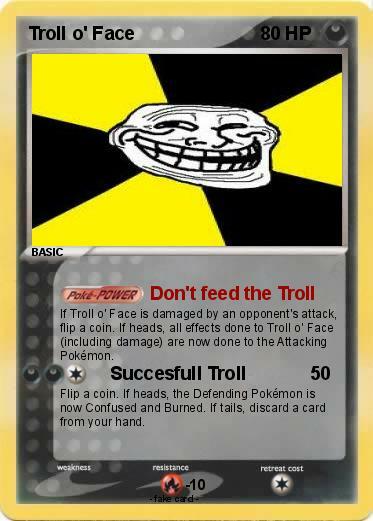 If heads, all effects done to Troll o' Face (including damage) are now done to the Attacking Pokémon. Flip a coin. If heads, the Defending Pokémon is now Confused and Burned. If tails, discard a card from your hand.